Umm… a Buffyverse graphic novel, Elizabeth Moon’s “Command Decision”, an Escape Pod podcast, and some more Analog stories via the library and Zinio on my tablet. 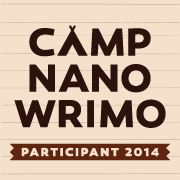 Reached 10k for July Camp Nanowrimo, didn’t quite finish the Brain transplant story. Haven’t written in a few days, because I’m busy with other stuff… Maybe I’ll finish the story while I’m at the workshop. Character growth and transformation! I’m finally digging into this lecture I need to have ready for TNEO, two days before I leave, and it’s great stuff, even if I’m a little frazzled. 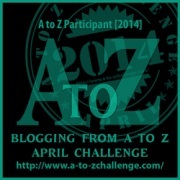 This entry was posted on Wednesday, July 23rd, 2014 at 8:28 pm and is filed under Blogfests. You can follow any responses to this entry through the RSS 2.0 feed. You can leave a response, or trackback from your own site. Sorry about the scam charges but I’m glad they’re on their way to being straightened out. Also, I love Vampire Diaries. Have fun catching up! Congrats on your progress. You are way too busy!